Today is Veterans Day, the day we remember the service and sacrifices of those who gave their time, and for some, their lives, in the service of the United States Armed Forces. My dad served in the Navy during the Korean War. My uncle served during World War II and my grandfather served as a pilot in the “war to end all wars” World War I. This day was originally set aside to remember those who gave their lives during World War I. It has evolved into a day of remembrance for all veterans of all wars. Today I’d like to remember One Veteran: Steve Thompson. 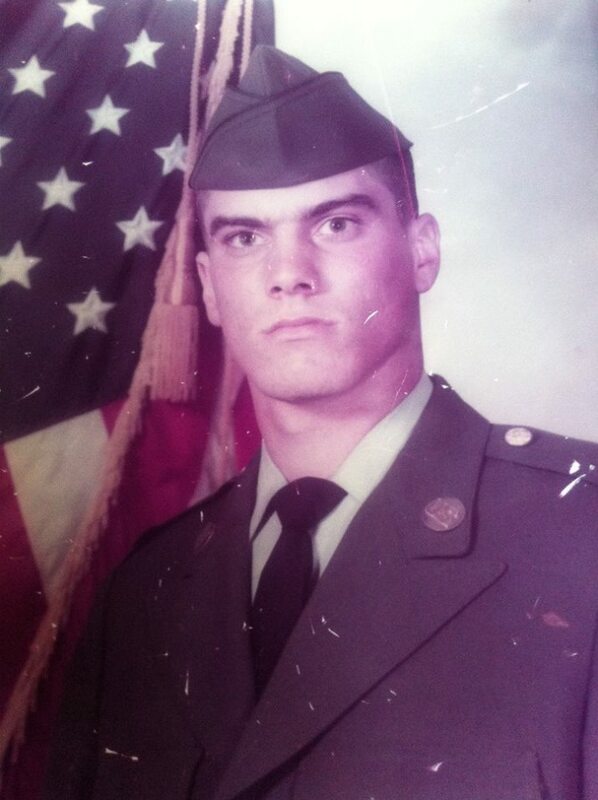 Steve served in the U.S. Army from 1984 to 1991. He served his country without apology; but his distinction, to me, where I believe he earned his honors, did not come in the service of his country while in the Army, but in his service to his family. His service didn’t stop after he left the military. No, it continued in the workplace and especially in the home. He adored his wife and their five kids. His home was always open to his children’s friends which included all of my kids. I am thankful my sons and daughters have his good example to look to. His service continued beyond the uniform by being a great husband and by raising good kids. One of which I am proud and grateful to call “son-in-law.” By serving his family, he enriched this country yet again. Steve may have seemed like an ordinary guy, and in many ways, he was just that. But to those who knew him, and especially to his family, he was extraordinary. Sadly, Steve died last year, and his service to his family was cut short. There are grandchildren who will only know him through the many stories and pictures. Steve Thompson is – not was – on the top of a short list of good men my kids know. “Is” because his influence is still felt in the memories his family carry and the character his kids have. His absence has left an unfillable void, no amount of remembering or praying can soothe the pounding ache. Only the distant star of resurrection Hope. I cannot wait to see that reunion, when the seconds are finally tallied, such is our hope as Christians. Except for the birth of your future grandkids, there will not be any more great days because you’re not here. We can only hope for some good ones. My life is better because I knew you. I hope my kids always remember your service to our country, but mainly your service and your example to your family. R.I.P. Brother. You are sorely missed. Many veterans, like Steve, continued their service by serving their families and communities, and through that secondary service gave more to our country. Thank you to all who have served and continue to do so.